We’ll discuss what possible needs your vehicle may have, and then determine a good time to bring it in. Let our ASE Certified Technicians determine if any repairs or maintenance are required. We want to keep your vehicle safe and dependable. You decide the recommendations that best fit your needs and budget. We tailor a plan just for you. Car troubles turn life upside down and stop it in its tracks. Arrow Automotive has the expert knowledge and advanced equipment necessary to perform high quality auto repairs on all makes and models. We keep our customers on the road with preventative maintenance plans to protect their specific vehicle and accurate auto repairs to solve issues quickly. When things go wrong with your car, our team is here to get you back on the road and back on track. With free emergency roadside towing and convenient shuttle service, we are here to take care of you when your car falters. We handle the hard work quickly with quality and precision to ensure your complete satisfaction, because we know that ultimately your goal is to get your car back and hit the road. Our customers leave with renewed confidence in their cars and smiles knowing that they have the best auto repair team in Reno, NV. From wheel alignments to auto AC repair and everything inbetween, we can be your vehicle support team, too! Monte and the crew at Arrow are the kindest, most reputable, honest people at any garage I've been to, and that's coming from someone who's father was a career mechanic! Always took great care of all our vehicles, gave sound advice on purchasing new to us vehicles, and were always willing to work things out with you if you needed time, etc. Great customer service. James took care of the coolant system work to be done and kept me informed throughout the process. Took their team a few tries to trouble shoot the issues, but all work was completed with attention to detail and in a timely manner. Drove the vehicle out of their shop and 600 miles over the weekend with no more coolant problems! The technicians at Arrow Automotive in Reno, NV are certified experts by the National Institute for Automotive Service Excellence, which means no auto repair is too difficult for them to accomplish. With decades of experience working on all kinds of vehicles, they have a complete range of expertise to carry out quality auto repairs for our customers. We work on all cars, trucks and SUVs! We are a NAPA Auto Care facility and uphold ethical and responsible business practices in our industry. That means providing honest analysis of your car’s current and future needs, carrying out repairs with integrity and guaranteeing the quality of our work for years to come. We stand behind every repair at Arrow Automotive with a 36-month/36,000-mile warranty nationwide. Plus, we only use the best parts for your specific vehicle. Wherever your car takes you, you can trust the work we put into it. 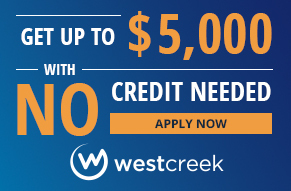 Proud to offer Simple – Fast – Transparent – No-Credit Financing for our customers. Click below to apply today! Arrow Automotive is Reno’s most recommended auto repair shop for complete car care and customer satisfaction. Your vehicle is our passion and we do everything we can to improve and perfect its performance, like investing in our tools, technicians and facility. See our state-of-the-art facility for yourself today! Just stop by 1995 Vassar Street in Reno, NV and our friendly staff will be happy to show you around. Speak with a service advisor about your vehicle repair history and your specific driving habits to create an optimal preventative maintenance plan. We fully inform our customers on their car’s upcoming repair needs and offer flexible financing options to make the process even easier. Our team looks forward to transforming your auto care experience. Call 775-827-1999 to schedule your next visit or click to use our convenient scheduling system online now.